North Korea’s latest missile launch over Japan seemed, as Stephan Haggard of the University of California at San Diego described it, “perfectly calibrated to create political mischief.” This enabled it to send a strong political signal without overtly crossing a “red line” and spurring the United States into action, analysts said. The launch also seemed designed to drive a wedge between North Korea’s neighbors. In Japan, Prime Minister Shinzo Abe called it “an unprecedented, grave and serious threat.” Abe wants to beef up Japan’s military capabilities, and missile launches like this provide ammunition for his controversial cause. Meanwhile, South Korea’s liberal president Moon Jae-in, who has promoted engagement with Pyongyang, immediately denounced the launch and sent his fighter jets to drop bombs on a shooting range near the border with North Korea, a show of South Korean might. Both reactions will have rattled Beijing, which Tuesday called on all sides to take a step back. Foreign Ministry spokeswoman Hua Chunying characterized the North Korea situation as “at a tipping point, approaching a crisis.” She repeated China’s call for talks between North Korea and the United States. China doesn’t want Japan increasing its military capabilities and rivaling it in the region, and it doesn’t want South Korea sticking to its agreement to host an American antimissile battery that it fears could be used to keep China in check. Most of all, analysts say, Kim Jong Un is showing that he won’t be cowed by President Trump’s tough talk. In a video from South Korean Digitalsoju TV, women defectors who formerly served in North Korea’s military sit down with a South Korean host. One defector explained that all North Korean women must serve in the military for six years, in addition to all men being required to serve for 11 years. During her time in the military, one of the female defectors said she was fed only three spoonfuls of rice at mealtimes. “I weighed just around 81 pounds and was about 5’2,” said the defector. Her Body Mass Index, though not a perfect indicator of health, works out to about 15, whereas a healthy body is considered to have a BMI of about 19-25. Unsurprisingly, malnutrition is widespread across all sectors of North Korea. And the defector still said that is even the case within the military. Soldiers are poorly paid, and withhold or steal each other’s state-issued goods like military uniforms. A female defector speaks of her time in the North Korean military: “The Major General was this man who was around 45 years old and I was only 18 years old at the time,” she said. “So one day he tells everyone else to leave except for me. Then he abruptly tells me to take off all my clothes,” she said. The officer told her he was inspecting her for malnutrition, possibly to send her off to a hospital where undernourished soldiers are treated. “So since I didn’t have much of a choice, I thought, well, it’s the Major General. Surely there’s a good reason for this. I never could have imagined he’d try something,” she said. But the Major General then asks her to remove her underwear and “then out of nowhere, he comes at me,” she said. [When she resisted] the Major General then proceeded to beat her. When she screamed, he covered her mouth. She said he hit her so hard in the left ear that blood came out of her right ear. She said the beating was so severe her teeth were loose afterwards. “I don’t know whether he’s dead or alive, but if Korea ever gets reunified, I’m going to find him and even if I can’t make him feel ten times the pain I felt, I want to at least smack him on the right side of his face the same way he did to me,” she said. South Korea’s air force has staged a live-fire drill simulating the destruction of North Korea’s leadership, hours after Pyongyang launched a missile over Japan. North Korea first fired an unidentified missile from near the capital Pyongyang, which flew over the northern Japanese island of Hokkaido, making it the first North Korean projectile to successfully pass over Japanese territory since 1998. It subsequently broke up and fell into the Pacific Ocean. Just hours after the North Korean launch, South Korea’s Presidential Office announced four F-15K jetfighters had dropped eight MK84 bombs on a simulated target at the Taebaek Pilsung Firing Range in the country’s northeastern Gangwon province. An official with the South Korean Defense Ministry told CNN the one-ton bombs had all landed on target. “The drill reconfirmed South Korea Air Force capability to destroy the enemy’s leadership in cases of emergency,” the official said. South Korea joined with the United States and Japan in calling for an emergency meeting of the United Nations Security Council to discuss the North Korea launch. In 2011, the U.S. and NATO conducted a bombing campaign to assist Libyan rebels in overthrowing the Gaddafi government. Gaddafi himself was captured by one rebel faction, who apparently sodomized him with a bayonet and then killed him. Joo-il Kim grew up thinking North Korea was paradise. Then he learned that his two-year-old niece, who was so hungry she had eaten uncooked corn and washed it down the mouthfuls with water, died after it expanded in her stomach and killed her. He would later learn that when he visited his family, they would feed him the only food they had in the house rather than let him know they had nothing for themselves. It took him a long time to consider that the messages that he had been indoctrinated with since birth may be false. His mind changed after a new role in the military gave him the rare privilege to travel freely around the country. He was tasked with rounding up deserters, and it exposed him to the widespread starvation during the height of a four-year famine that killed an estimated three million people. At age 32, armed with a knife that he would use to slit his throat if caught, he slipped into the heavily-guarded Tumen River in Hoeryong under the cover of darkness and swam to China. Fearful his status as an illegal immigrant may get him deported back to the regime and certain death, he pressed on to Thailand where he met a group that specializes in helping North Koreans find asylum. He opted for London, where he now lives in New Malden with hundreds of other defectors, in a larger Korean community. North Korea launched three short-range ballistic missiles from its east coast into the sea, beginning at 5:40 p.m. EST Friday over a period lasting an hour, according to the U.S. Pacific Command. Two of the missiles flew about 150 miles while the other one appears to have blown up almost instantly. North Korea’s latest test comes at the same time as U.S. and South Korean forces participate in joint military exercises on the Korean Peninsula. Some send up plastic leaflets that weigh less than a feather and which flutter down from the clouds with calls for democracy, or blurry cartoons ridiculing North Korea’s ruler. Some send flash drives loaded with South Korean soap operas, or mini-documentaries about the vast wealth of southern corporations, or crisp new US dollar bills. One occasionally sends his empty food wrappers, with stained labels showing noodles slathered in meat sauce, so northerners can see the good life they would find in the South. They are self-proclaimed soldiers in a quiet war with North Korea, a disparate and colorful collection of activists taking on one of the world’s most isolated nations, mostly using homemade hot-air balloons. “The quickest way to bring down the regime is to change people’s minds,” said Park Sang Hak, a refugee from the North. Mr. Park now runs the group Fighters for a Free North Korea from a small Seoul office, sending tens of thousands of plastic fliers across the border every year. Scholars and North Korean refugees say the outside information has helped bring a wealth of changes, from new slang to changing fashions to increasing demand for consumer goods in the expanding market economy. A North Korean defector explains that people in the North Asian country feel they have no other choice but to show allegiance to Kim Jong Un because of the consequences that would follow if they don’t — namely being sentenced to hard labor in the notorious prison camps. “Essentially, North Korea is the most oppressive regime in the world; it is certainly the most closed, isolated country in the world. 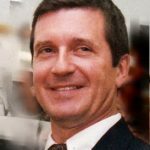 It’s a regime that stands accused by the U.N.’s own Commission of Inquiry of crimes against humanity,” Benedict Rogers, East Asia Team Leader at Christian Solidarity Worldwide, told The Christian Post in an interview in March. “Those crimes against humanity include the incarceration of 100,000 to 200,000 prisoners, who are jailed because of political crimes, and are subjected to the worst forms of torture, slave labor, denial of medical care, sexual violence, and in some instances execution,” Rogers added. Kim looks like any other 16-year-old girl when you see her shopping in the street in Seoul. But like 28,000 other refugees, she has escaped from North Korea. One morning in 2011, her mother could no longer bear the misery, lack of freedom and food deprivation, so she and her daughter escaped. Kim was 10 and had to leave the rest of her family, her friends and her school without even having the chance to say goodbye. They fled their country in secret by crossing by night the river making up the border with China. After making it to China, her mother used her meager savings to pay smugglers to enter Laos, Thailand and finally South Korea eight months later in 2012. Kim now lives in a dormitory, while attending school. Kim decided on the YeoMyun school, which is run by a Christian association, alternative education suitable for young defectors. Among other things, teachers know that their students have been through trauma when they fled the North, so they deserve special attention. 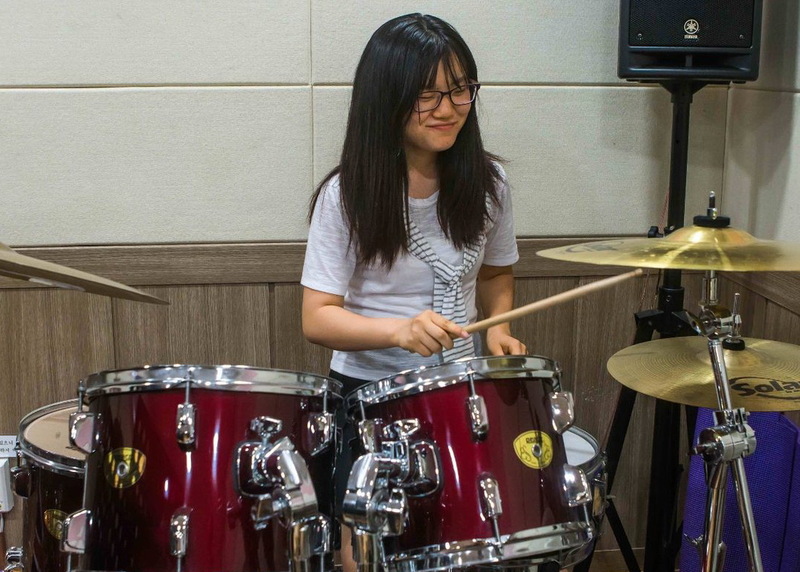 Like all children in the North, Kim was taught music at school, so she is as comfortable playing drums as electric guitar. On the weekend, the girls from the dormitory reunite with their families while Kim often stays behind, alone. She uses the opportunity to rest and read Korean mangas. She enjoys preparing a surprise meal for her friends when they return. She loves to cook with aloe but her guilty pleasure is ice cream. She loves buying a 5-litre container to share with her friends while watching a DVD on Sunday night, before resuming the work week. Kim barely ever talks about her past with her co-tenants. They all have a painful or buried secret they refuse to talk about.